Centrally located in Australia's eastern corridor between Brisbane and Melbourne and an easy drive to Sydney, Gloucester is ideally situated to reach the 9.4 million people living in these cities as Bucketts Way connects Gloucester to the Pacific Highway just 70km to the east of the township and the New England Highway is just a further 30km south once on the Pacific Highway. The Hunter is home to the University of Newcastle, a world-class university. passengers in a year. 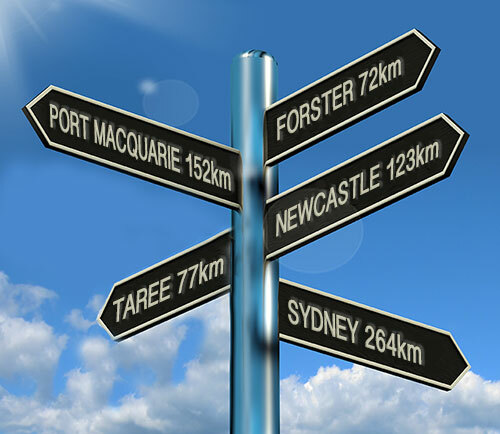 Domestic flights to Byron Bay/Ballina, Brisbane, Gold Coast, Sydney Canberra & Melbourne. International travel is easy with domestic flights to Melbourne, Sydney, Gold Coast & Brisbane, where you can easily connect worldwide. Coach & rail travel is also available with coaches daily at 7.00am to Broadmeadow and a return journey at 6.00pm. Trains southbound at 10.56am,3.44pm and 2.33am, northbound at 11.38am, 4.22pm and 7.04pm. The railway is not withinn the CBD and is located at the eastern entrance to the town off the Bucketts Way. At present there is no public transport available to you would have to arrange private transport for drop-off/pick ups. Sea transport is easily accessible, with excellent road linkages (127km) to Australia's largest export port, the Port of Newcastle. Noted as one of the world's largest coal tonnage ports, the port is also a growing cargo and general container hub. 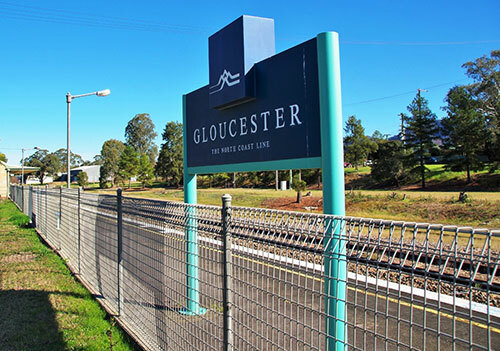 NBN has built and implemented high speed wireless broadband infrastructure for Gloucester which provides a significant benefit for local businesses within the light Industrial Park. No timeline at present for the NBN within the township. The Gloucester Industrial Park is located adjacent to the town centre, just 5 minutes away and houses a number of the key manufacturing, engineering and service businesses in the area.